This year, give a rewarding, creative experience to your loved ones! The SBMA offices are open 9:00 a.m. until Noon, Friday, April 19. The SBMA Galleries and Dot Shop will be closed, Friday, April 19 and Sunday, April 21. 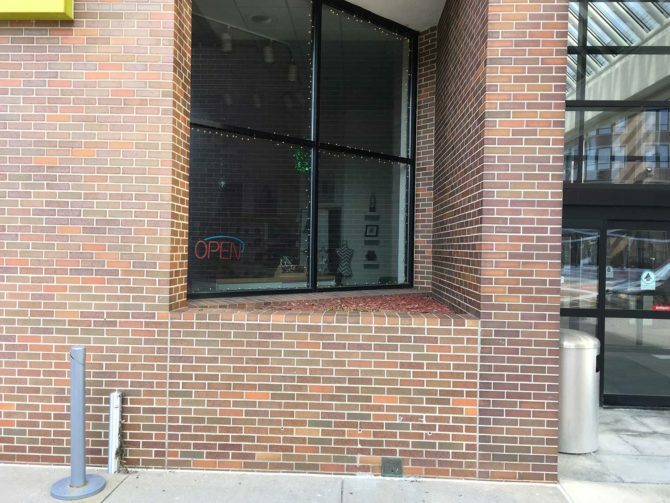 They will be open Saturday, April 20, Noon until 5:00 p.m.
Open Studio will be open 9:00 – 11:30 a.m. on Friday, April 19, 12:00 – 4:30 p.m. on Saturday, April 20, and closed on Sunday, April 21. The term ekphrastic means, essentially, “beautiful words for beautiful art.” Think of the popular song about “Mona Lisa” as an example. 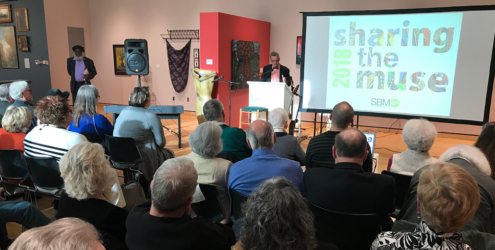 The idea for this event was developed by members the South Bend Museum of Art board of directors as a way to include writers more directly in the community of art makers here in South Bend and at the SBMA. Individuals were invited to find a muse among the art in the gallery that inspired a personal poetic vision of its meaning. We all are poets at heart. We use language daily to tell stories and refer to poetry for many of the most important moments in our lives. So, the use of poetic language is the artistic craft with which we are very familiar. Writing about our individual experiences requires our finding our own voice since no one with a degree in creative writing can follow us around to interpret our impressions effectively for us. This being the case, we hope to encourage the creative self into being for some who are not often called to do so. You will then find some of our writers are scholarly and others are finding a writer’s voice anew. All have focused on this experience of interacting with art in the SBMA’s permanent collection and responding with expressive writing…some experienced writers are doing this for the first time. Thank you to our writers: Ruth Andrews, Dayle Brown, Tracy L. Brown, Roger Chrastil, Linda DeCicco, Lea Goldman, Wayne Goodling, Natalie Hendricks, Michael Lasater, Samantha Lewis, Scott Morgan, Brooke Plummer, and Earl J. Vandygriff. We believe you will be impressed with their resulting works, and hope that having these poetic interpretations available as you view works in the gallery will deepen your exploration into the meaning of the art on display. We aspire to continue the event and possibly expand opportunities for artists and writers to develop creative writing skills. 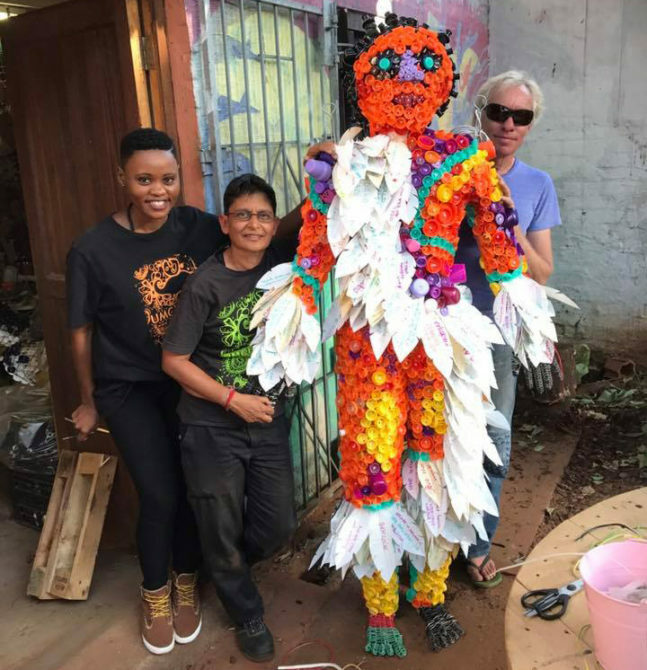 In the summer of 2018, the SBMA hosted a program that gave artists the opportunity to experience teacher training, arts administration and community art projects. This year, the program focused on three fellows who worked with our curatorial and education staff. As part of this program, the artists each contributed 8-10 volunteer hours per week (over a twelve week period) and gained valuable experience through their work with the museum’s summer programming. This exhibition features the work of Meli Bandera, Alex Coulter and Vanessa Steiner. The work in this exhibition is representative of both the fellowship and work created up to the exhibit. 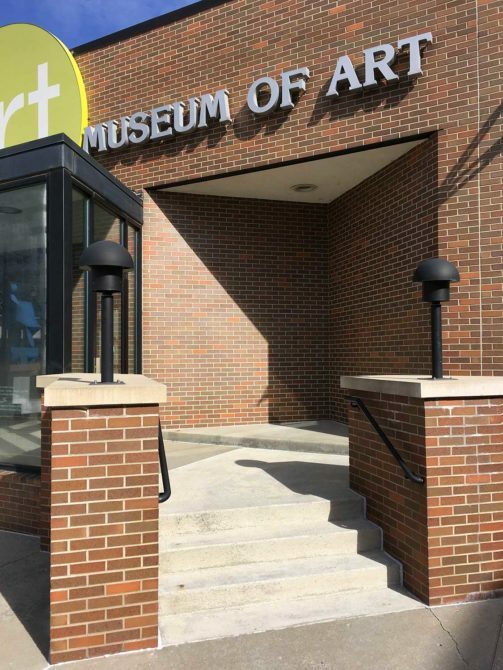 Art.Write.Now.Tour 2018–19, a traveling exhibition showcasing more than 100 original pieces of art and writing from the talented teen award recipients of the 2018 Scholastic Art & Writing Awards, will make its fourth stop in South Bend, Indiana at South Bend Museum of Art beginning April 5, 2019. Works by local area students will be featured in this exhibit. 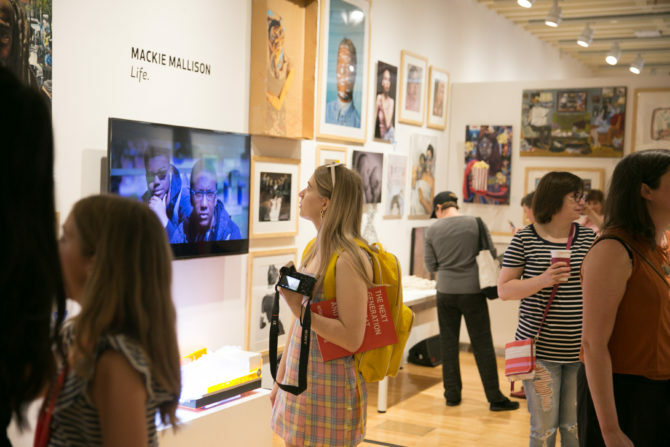 Produced and presented by the Alliance for Young Artists & Writers, the Tour showcases a selection of works from the Scholastic Art & Writing Awards—the country’s longest-running and most prestigious scholarship and recognition program for creative students in grades 7–12. If you want to know what issues are on the minds of teenagers, the Art.Write.Now.Tour is sure to provide valuable insights through the lens of sophisticated and captivating artworks. All Scholastic Art & Writing Awards recipients walk in the footsteps of notable program Alumni including Andy Warhol, Richard Avedon, Truman Capote, and Sylvia Plath, all of whom received Scholastic Awards when they were teens. More recent Alumni include filmmaker Richard Linklater, fashion designer Zac Posen, and writer and director Lena Dunham. In the 2018 program year, nearly 350,000 works of art and writing were submitted for adjudication at the regional level in the Awards’ 29 categories, which include poetry, painting, editorial cartoon, video game design, architecture, short story, photography, and more. These emerging artists’ and writers’ works were first adjudicated regionally, then again on the national level by leading creative professionals. 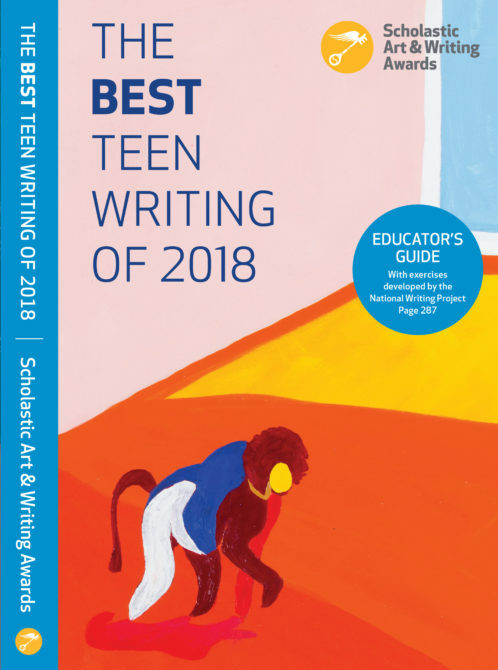 The Art.Write.Now.Tour 2018–19 and the Scholastic Art & Writing Awards are presented by the nonprofit Alliance for Young Artists & Writers and the Tour is funded by the generous support of Scholastic Inc., the National Endowment for the Arts and Blick Art Materials & Utrecht Art Supplies. 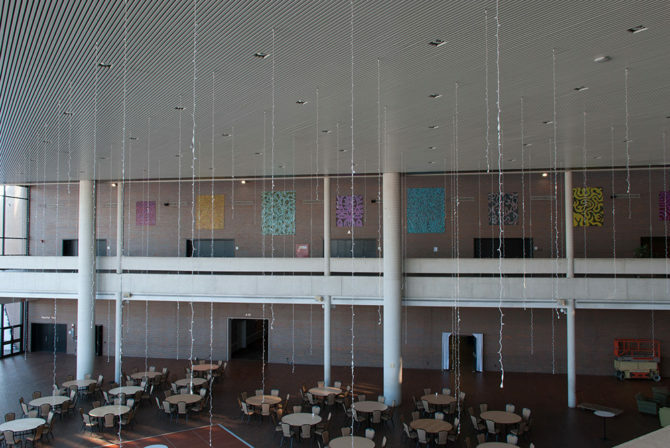 Now in its ninth year, the Tour will make its first stop at the New Hampshire Institute of Art (Manchester, NH) and will continue to travel across the country, making additional stops at Crocker Art Museum (Sacramento, CA), Center for Creative Arts (St. Louis, MO) and South Bend Museum of Art (South Bend, IN). For more information, about the Tour and about the Scholastic Art & Writing Awards, visit http://artandwriting.org. 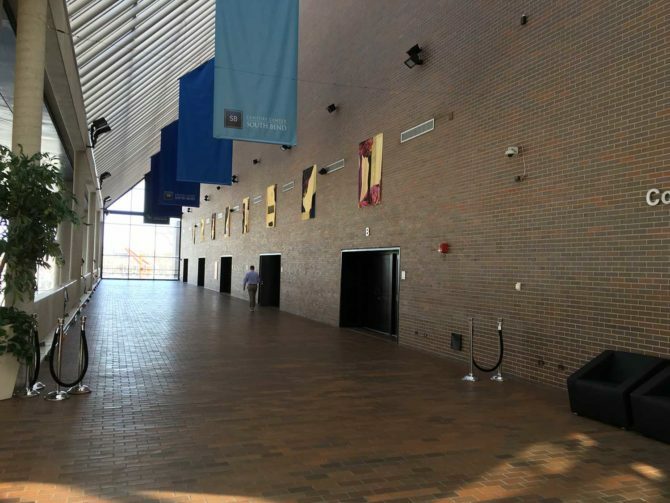 Now in its twelfth year, the Festival of Banners promotes art in the community by bringing art to the public, and providing an excellent venue for artists of all ages and skill sets. 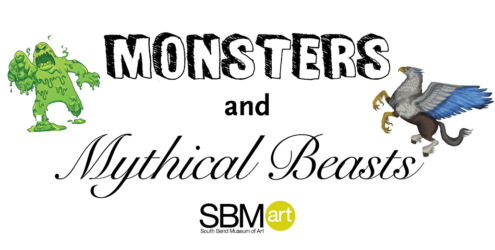 This year’s theme, Monsters and Mythical Beasts! Leviathan and Cyclops, Giant Squid and Pegasus, otherworldly creatures of all shapes and sizes. Our fascination with these ideas extends into history, literature, science, and far into the future. Hybrid creatures we all know, and new combinations we have yet to consider are all at your fingertips. Dive into your creative creature mind, and send us your very favorite Monsters and Mythical Beasts! Three age categories–youth, teen, and adult–allow fun for all. Designs are submitted small scale on paper. Jurors select designs based on creative interpretation of the theme, and use of color, pattern and line; the artists are then invited to paint their design on a 2 x 4 ft banner in the SBMA painting studios during the months of June and July. All designs & entry forms must be submitted to the museum office no later than 5:00pm, April 29, 2019. 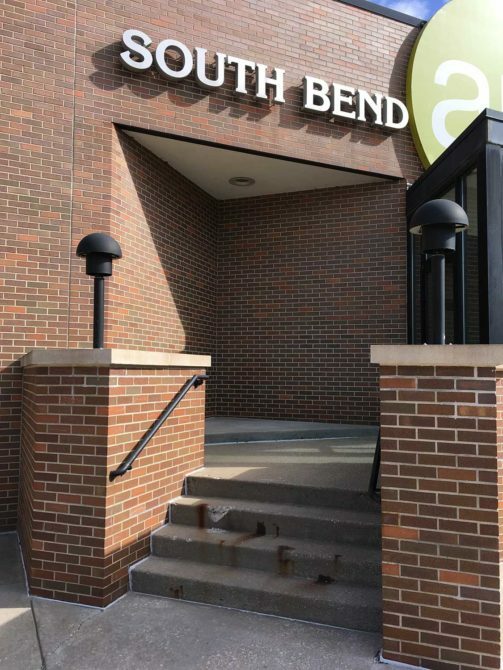 An awards ceremony and unveiling of the banners takes place in August of 2019 (TBA), then the banners fly high for two months in downtown South Bend for the whole community to enjoy! 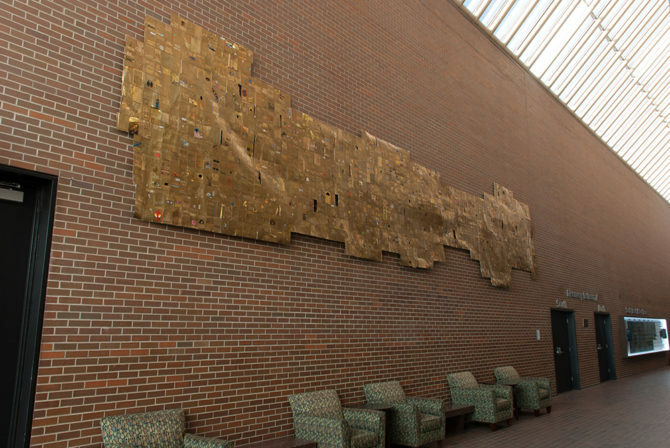 This community focused project is brought to you by the South Bend Museum of Art with support from patrons Jerry Thoma and Meg Auth and Jack and Yumiko Champaigne. 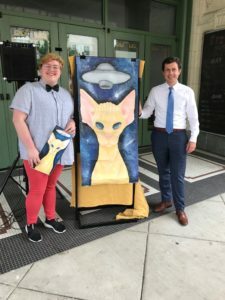 Special thanks to the City of South Bend, Downtown South Bend, Inc., and The Art League for partnering and helping to facilitate this public art project. SBMA is currently taking applications for our Summer Undergraduate Residency. A unique experience for self-directed and motivated fine arts majors enrolled in Indiana University and College art programs. 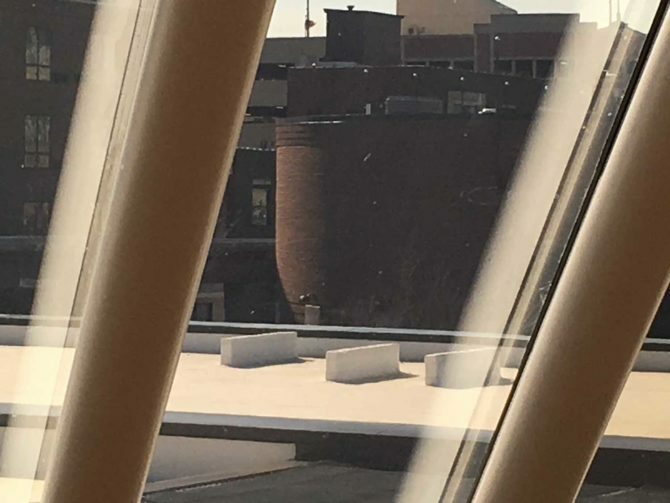 Undergraduate residents receive access to our suite of unique studio spaces, including dark room photography, fibers, ceramics, drawing and painting, jewelry and metal smithing, and space for 3D sculpture based inquiry. 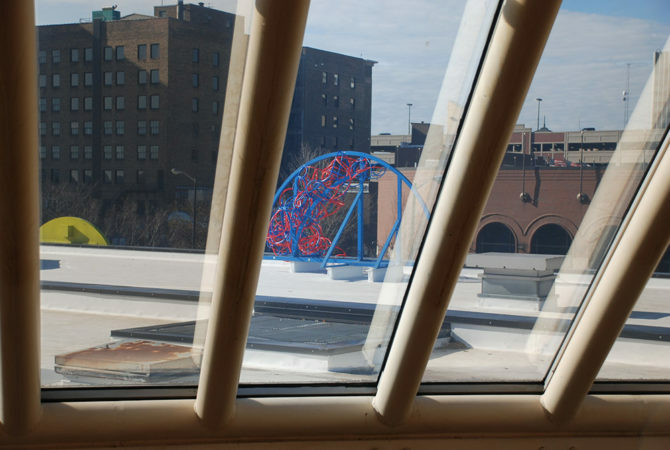 Residents can attend workshops, audit classes, participate in critiques and studio visits from guest artists, and interact with a vibrant artist community. Additionally, residents have opportunities to work directly with members of the museum staff in various roles as they volunteer hours in our exhibitions, curatorial, and education departments to experience the inner workings of museum life. Lastly, all participants will be awarded a group exhibition in the museum’s Jerome J. Crowley Community Gallery the following March. Any college undergraduate enrolled in an Indiana University of College art program is eligible to apply. 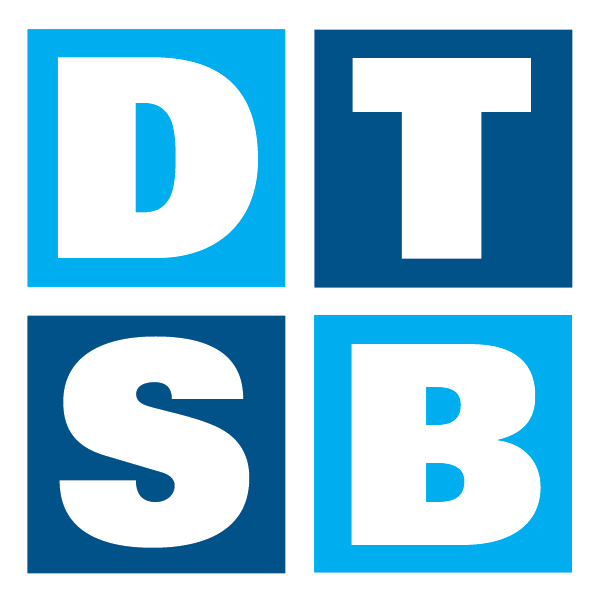 All college residents must reside in South Bend, Indiana during the months of June, July, and early August. The Summer Undergraduate Residency program runs from June to August 2019. 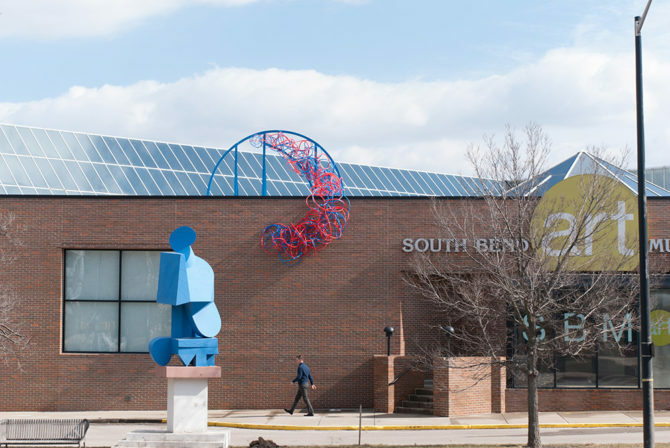 In exchange for participation in this program, all residents are required to volunteer a minimum of 5 to 8 hours per week at the South Bend Museum of Art. Volunteer hours/ duties may vary. All residents are requested to be available for our Meet Me on the Island events, and are required to assist in our Art Beat youth activity area. Residents may continue to volunteer or participate in museum programming as they desire or are available throughout the academic year, but it is not a requirement of the program. College residents will participate in an exhibition of their work in March 2019. 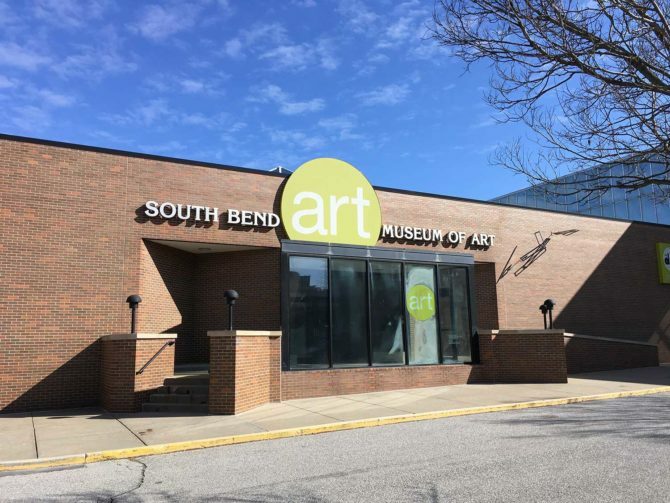 The South Bend Museum of Art is located in downtown South Bend, Indiana. 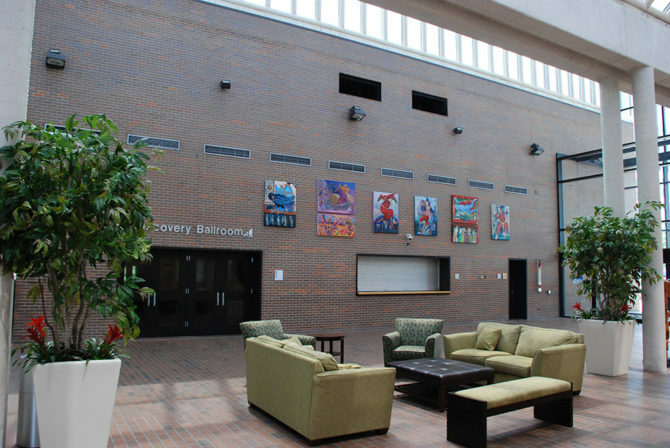 You can find us in the Century Center located at 120 S Dr Martin Luther King Jr Blvd, South Bend, Indiana 46601. 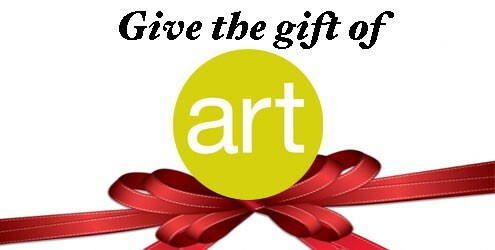 Or, you may find us online at southbendart.org, where you can also obtain a downloadable application form. The SBMA no longer accepts physical submission packets (this includes mailed CDs). All submissions should be sent via Dropbox. Upload your materials to www.dropbox.com (it’s free). Click the “share” link to share the folder with: overstakec@southbendart.org. If you do not have an account, go to www.dropbox.com to set up a free account. All submissions are reviewed. If accepted, you will be notified via e-mail or phone. Please make sure to include contact information. Please do not call or email to check the status of your submission. Image list (.pdf format): Please include the title, year, media, and scale for each image, as well as a small thumbnail image or file number so we know which image the information refers to. Artist and/or curatorial statement (.pdf format): No more than one page, please. 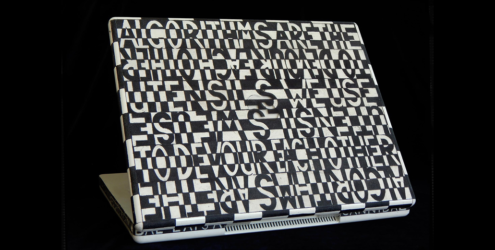 Reception: Sunday, June 2, 2019 | 2:00 – 4:00 p.m. Featuring artwork created by SBMA students and faculty from the past year, the annual Student/Faculty exhibition showcases the variety of class offerings at the museum and highlights the talents of its wonderful community. Any faculty or student of museum classes from January 1, 2018 – March 1, 2019 is eligible. 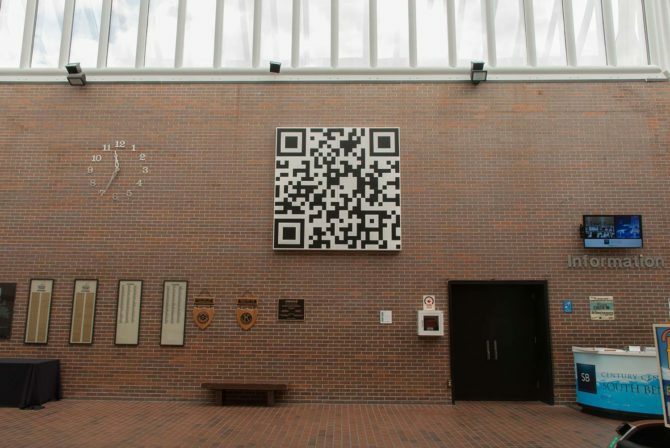 Participants may submit one (1) work not previously shown at the museum. All submitted work will be exhibited. All media will be accepted. Awards valued at $400 will be given to recipients selected by the juror. Download a prospectus with full details here. 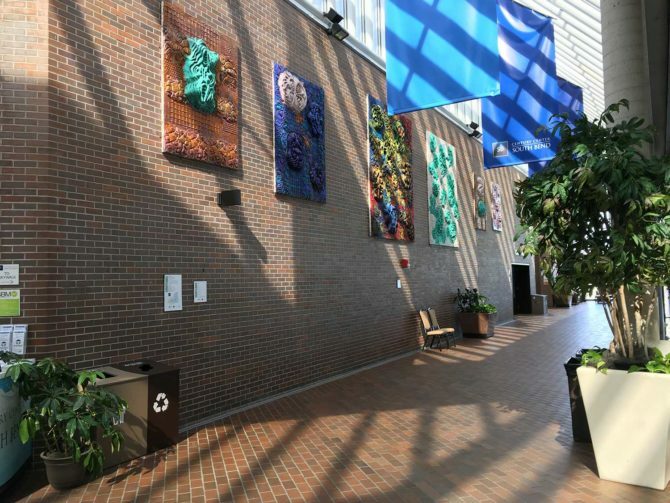 The South Bend Museum of Art (SBMA) is seeking large-scale 2D and 3D artwork for long-term display in Sightlines, a collaborative project between the SBMA and the Century Center. The two year exhibition will highlight the work of six new artists. 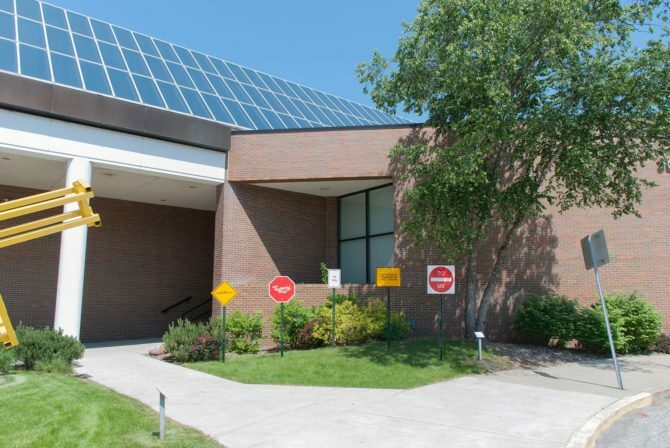 Indoor and outdoor sites for the work are available and will be considered for accepted work. Artist submission review and selection will be done by representatives from the SBMA and the Century Center. There is a $10 entry fee to apply. 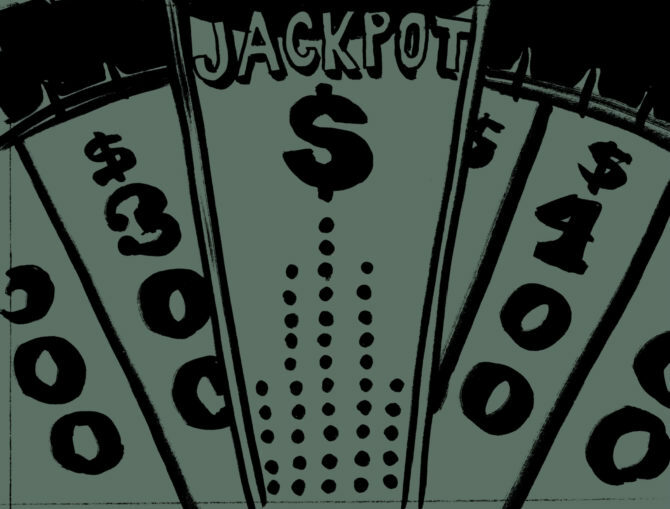 $1000 stipend for each selected artist. A modest printed piece will also be produced. Sculpture base for the roof (above Carmichael Gallery of the SBMA). Dimensions available on request. 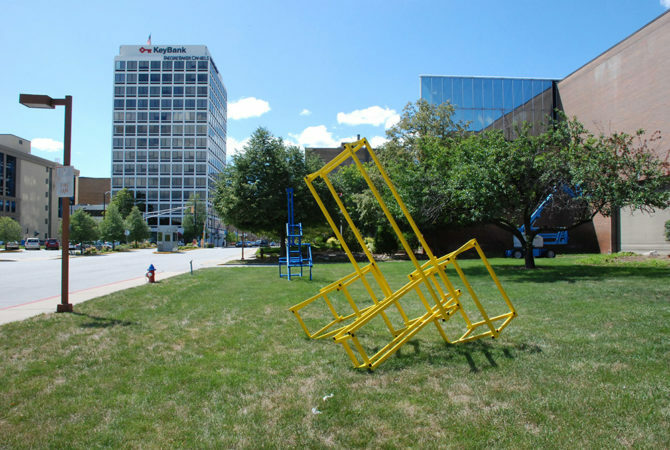 Jeff Boshart, THEB III (Blue Note) and THEB IV (Caution), both 2012 and welded structural steel tube, polychromed blue and yellow, respectively. Installed near main parking lot. 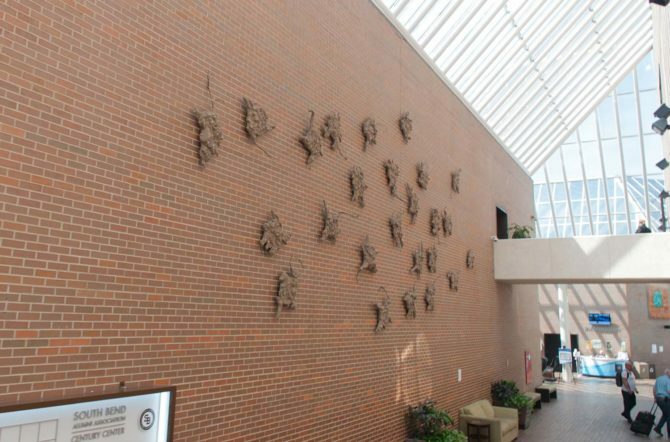 Sculpture alcove, north of main entrance to SBMA. Sides of triangular shaped pad is approximately 106 x 106 x 152 in. 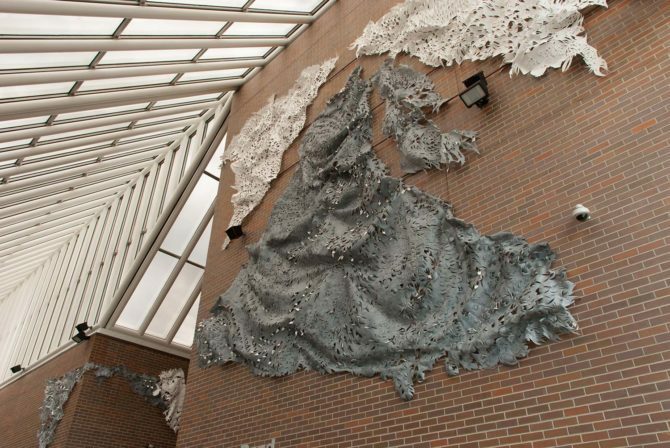 Sculpture alcove, south of main entrance to SBMA. Sides of triangular shaped pad is approximately 106 x 106 x 152 in. 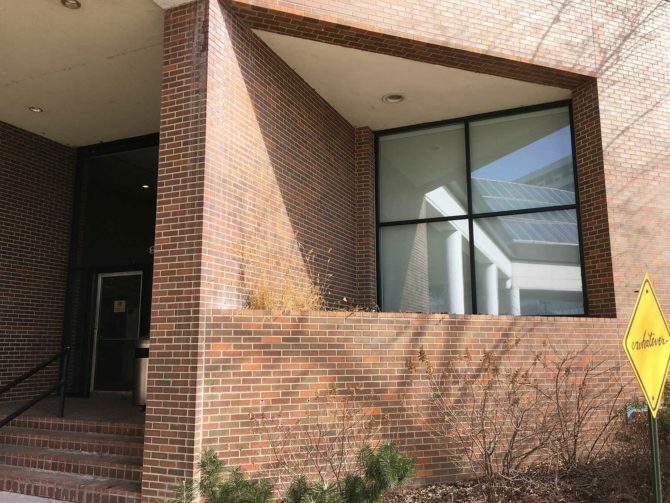 Windows of main entrance to the SBMA. Outside of windows is available for vinyl or other strategies. Current “art” circle vinyl can be removed. Window dimensions available on request. He’s directed a music video for Sigur Rós and animated sections for documentaries and television. His comic short stories recently appeared in the Fantagraphics anthology series “Now”. He lives in Richmond, Virginia.